The ECMS campers had a fun, adventure-filled and educational day at Camp Kern. 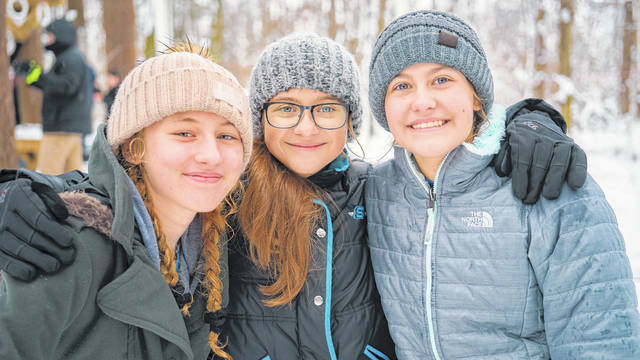 The East Clinton Project TRUST campers returned to Camp Kern last Thursday — the November camp had been cut short because of ice — and were greeted by several inches of January snow. This group of middle school campers got to experience the remaining Project TRUST activities all packed into one fun-filled day at Camp Kern. 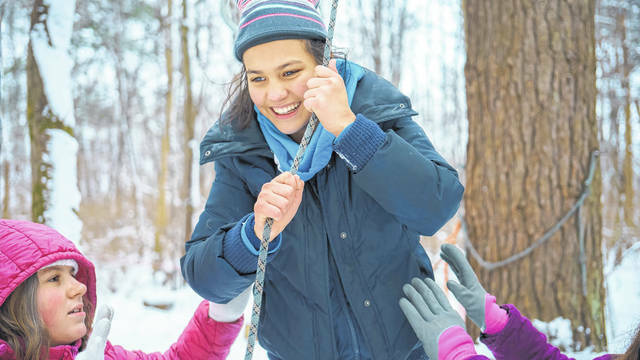 The kids participated in team-building games and activities, an adventure challenge around the grounds, deep and thoughtful conversations with their “family groups”, and a fun and one-of-a-kind dance. 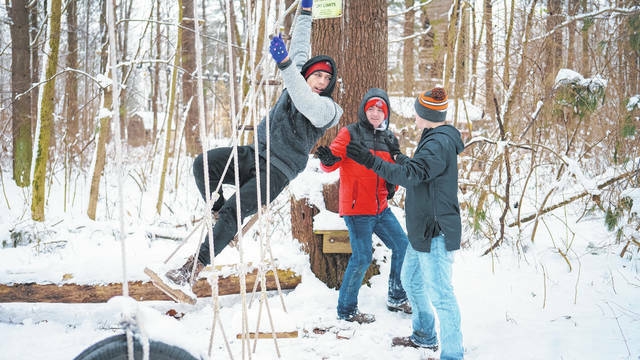 Despite several inches of snow the campers were outside at Camp Kern for a little more than five hours as they also learned the importance of respect, understanding and teamwork. The Garrett Vineyard Memorial Foundation presented a check for $1,000 to the EC Project TRUST team at camp. The ECMS campers got to meet some Garrett’s family members. Garrett was an EC student who passed away 11 years ago while in eighth grade due to a heart condition. Garrett’s life and memory helped the kids learn the importance of respecting and valuing those around them as all life is precious. Garrett’s family shared that the goals of Project TRUST closely align with the type of character that Garrett possessed. The Project TRUST staff extends a huge thank you to the foundation and to Garrett’s family who came to meet the ECMS campers. East Clinton Project TRUST will have its next camp Feb 13-15. Information and more photos can be found at tinyurl.com/eastclintontrust or on their Facebook and Instagram pages (@eastclintontrust).